October is National Domestic Violence Awareness Month and the Verde Valley Sanctuary is celebrating 25 years of protecting, assisting and empowering thousands of local residents affected by domestic abuse and sexual assault. One in three women and one in seven men will experience domestic violence in their lifetime. “If you look around wherever you are and compute how those numbers relate to your friend group, business contacts etc… the rate of domestic abuse is astounding,” states Jennifer Perry, Development Director of the Verde Valley Sanctuary. Domestic Violence is not an income-based problem it is prevalent in all races, neighborhoods and geographical locations. 25 years ago, a group of concerned citizens in Sedona, recognized that there were members of the community who were being abused and needed help. The founders of the Verde Valley Sanctuary opened their homes and took crisis calls on their personal telephones. When demand was high they drove women and children to the nearest shelters in Prescott and Flagstaff. Now 25 years later, the Verde Valley Sanctuary provides comprehensive support services to over 2600 individuals a year with shelter, a 24-hour help line, mobile outreach, legal support and education and prevention programs throughout the Verde Valley. 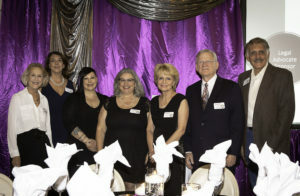 Supporters of the Verde Valley Sanctuary gathered at the Sedona Rouge Hotel and Spa on Friday, October 12th to celebrate the 25th Anniversary. Presenting sponsors included: James Dunne, the Kling Family Foundation, the JNF Foundation and the Mary Kay Foundation. 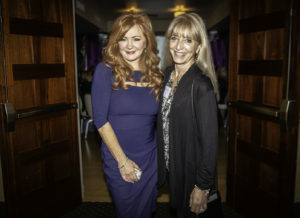 The sold-out room watched the premier of a new video produced by Red Rock TV and underwritten by Bill and Susan Cammock. The video explores the comprehensive services provided by V.V.S. and can be viewed on their website at www.VerdeValleySanctuary.org. 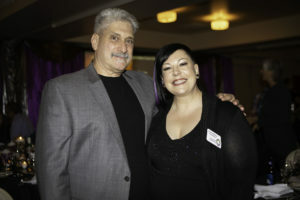 Laura Gisborne, the internationally recognized business owner and professional coach was the keynote speaker. She shared her heartfelt experience of witnessing abuse as a child and her personal experience with domestic abuse. Laura explained how the abusive relationship had become her normal and how a caring co-worker helped her get out and move on to become a happy successful woman. Click here to view photo gallery of event. This past year, VVS has experienced unprecedented demand for its services. The 28-bed Shelter has been at capacity since early June and some clients and their children have had to stay in hotels because there wasn’t room at the shelter. V.V.S. is staffed 24 hours a day, 365 days a year and they have had to hire additional victim advocates and therapists to assist the surge in clients. 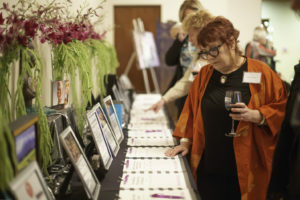 To help meet the increased demand, the Verde Valley Sanctuary is participating in a national fundraising competition, the Purple Purse Challenge, put on by the Allstate Foundation. Serena Williams is the official spokesperson for the campaign and domestic violence shelters across the country are all raising money and competing for $800,000 in prizes from the Allstate Foundation. The Verde Valley Sanctuary’s goal is to raise $30,000 and become eligible for the $100,000 grand prize. As of October 18th, V.V.S. has raised $17,587, please help them reach their goal, donating is easy and counts towards your Arizona Tax Credit.